With the rise in Instagram's popularity and after it was acquired by Facebook a question lingered on on whether deeper integration was going to happen. This question is still hanging although we saw several areas where the knowledge exchange took place. Brand, however, were still obliged to jump through several hoops inside the Instagram app to connect and share to the brand with no equivalent to the Twitter connect page (https://www.youtube.com/watch?v=Iiq43A0v6-s) . A few days ago, while accessing one of the page that we manage, I was surprised by a prompt that appeared on top of the page inviting me to click to link the client's Instagram to the Business Page. At the very bottom was the client's page name listed next to the "Connect to Instagram" button but I have chosen to obscure that name for the time being. 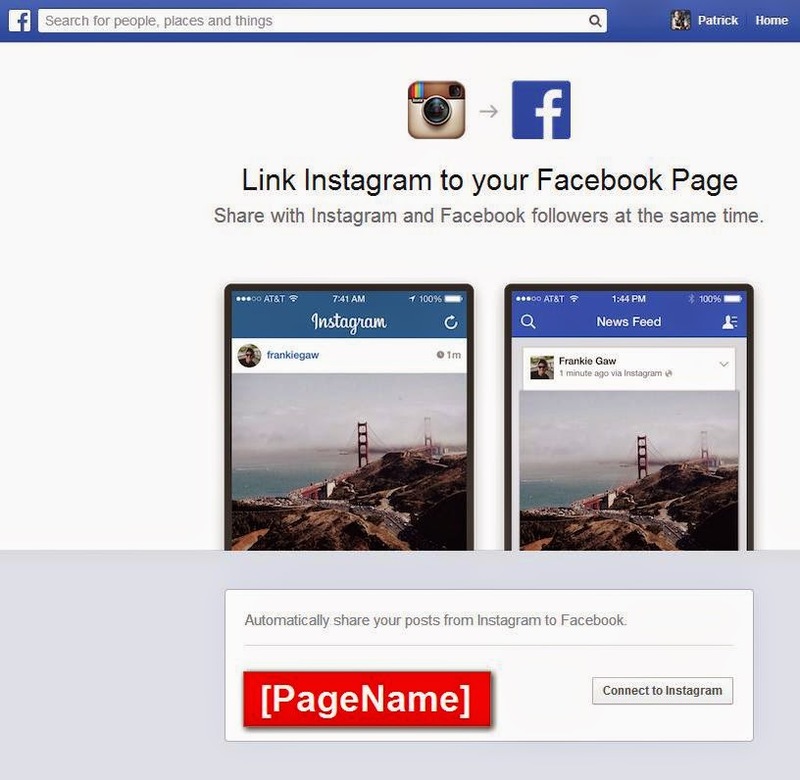 Interestingly enough the link is not generally accessible and other pages could not be connected to Instagram using this technique. When asking a friend who shares no common pages with me to try the link out he obtained the standard Facebook 404 page not found. My best guess is that Facebook is rolling out this feature as part of an A/B test or for select high profile pages. I should mention that this specific client has well over one million fans with a very high engagement rate. We have reached out asking some more info from a Facebook representative, no answer has been received yet. Have you also encountered this? Did you connect your Instagram? Let me know in the comments.